Let's just say it. If running was my job, and this was my annual review, I think I might get let go. Or if not let go, I would be put on a "PIP" -- a Personal Improvement Plan. 3. Run half marathons in three new states in 2014 - COMPLETE! "We've had reports of serious storms in the area, and baseball-sized hail elsewhere in the state. Stopping the race for bad weather is entirely my decision. This is Iowa. So if a bus pulls up behind you and tells you to get on... GET ON." Three new states = woot! 4. Set a PR in the 5K 10K (?!?) - COMPLETE!!! PRing in the 5K has been a stretch goal for two years straight… though I didn't actually run any real 5Ks in 2013. At least any 5Ks where I didn't have to climb an obstacle, crawl through mud, avoid zombies, or get doused in color. 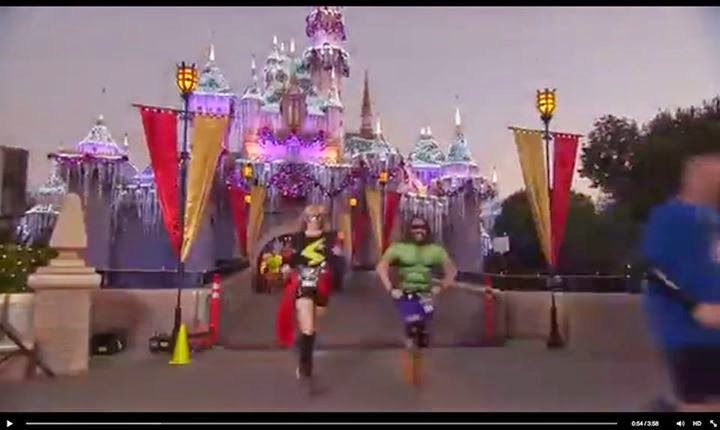 So imagine my surprise to pick up a PR in the Tinker Bell 10K on 1/18/14 -- a race where we were "taking it easy" because we were running a half marathon the next day. Oops. Then back in April I missed the 5K turnaround and a new PR at the Oso United Mudslide Benefit 5K. I had given up on hitting this goal this year -- since I didn't have any 5Ks planned -- but then on a November Sunday I rolled out of bed and decided on a whim to drive out to Redmond to run my pal Keely's "Get Your Rear in Gear 5K"… and somehow managed to both PR and break 30 minutes. A PR in the 10K? A PR in the 5K? And finally breaking 30:00 in the 5K? Result. I love writing this blog, even if hardly anyone reads it. 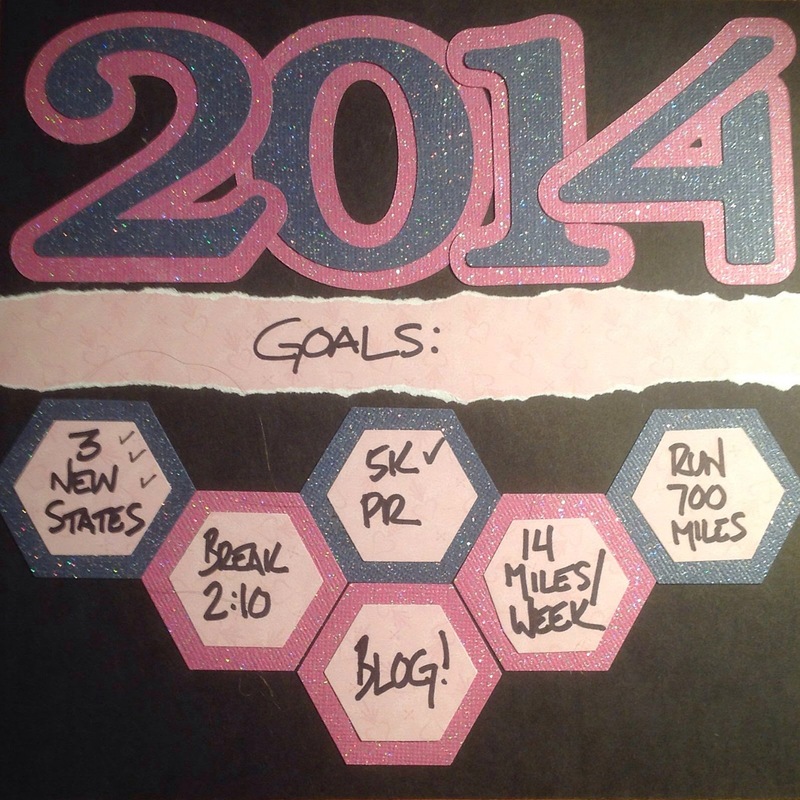 But I want to keep writing and try to get more regular with my posting… if only because I love looking back over the blog to see how far I've come as a runner. I'm calling this goal "achieved" because, well, I did blog all year long. More some months than others, of course... However, as my LSF Suz pointed out, I stopped posting about training, and really just started posting race reports, "which isn't as inspiring as following your training". Fair. I guess I just worry that my training (or, ahem, my lack thereof), isn't very interesting. I'll try to address that next year. 2. Run at least 700 miles. Good lord. This is my lowest annual mileage since we started running, despite running 12 half marathons. Of course, there were several months where the half marathons were the ONLY miles, so I don't know why I am at all surprised. Of course, I'm not surprised that I didn't hit the goal per se... but I AM surprised by how far from the goal I ended up. I may not have logged all my runs in Nike+, but I suspect I did. And my total miles? A shocking, shameful, sad 250.1. Last year, 323 miles. 2012, 570 miles. Ouch. I could say that this summer we focused more on hiking and climbing stairs rather than running, since we were prepping for the Inca Trail. But that might cause a slight dip, not such a huge drop off. Despite supposedly "recommitting" to my goal in early September, where my total mileage was a terrible 160 miles (in 8 full months! ), the latter part of the year was almost as bad, where I ran 90 miles in nearly 4 months. In a desperate attempt to think positively, my percentage did go higher... but. 5. Break 2:10 in the half. Well, I would have loved to break 2:10 in the half. But given how little I ran at all, I should be pleased to have run a single race under 2:20. Maybe in 2015 I'll nurture my mojo a bit more. This was the key goal for the year -- everything else paled in comparison. The idea was that I would run at least 14 miles every week. And I performed MISERABLY. In all of 2014, I managed this task a total of EIGHT TIMES. I don't know what to say. I'm really disappointed in myself. That said, while it's simply a lack of running (duh), the goal was also set up to fail too easily. When I missed the first week, the goal was shot. So when I finalize next year's goals, I'm going to rejigger this a bit. So stay tuned. Here's to a great 2014... and to an even happier 2015.